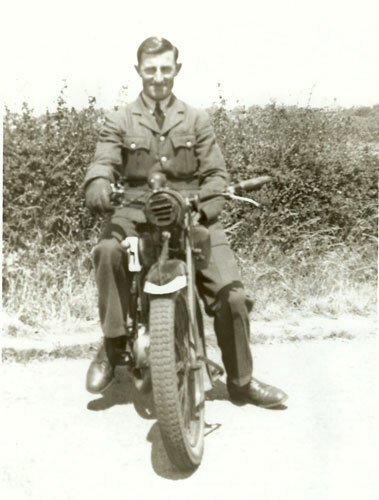 In early 1945 Bill Chinn was stationed in Evere. He was billeted in a cold, drafty building owned by the Photobell Company who made spools for films. The building had been the target for bombing raids by the Germans. The walls of the building were peppered with holes. To keep out the cold, the troops used spare blankets to fill up the holes. The old buildings were heated by slow combustion stoves. Their chimney stacks stretched up through the roof. The men soon made their home as comfortable as they could. Corporal Pamenter, Stan Harris and George Wetter shared this billet with Bill. The usual entertainment for the men was to play cards until late – there was little else to do. One morning, Bill walked from the cookhouse with his friend, Stan Harris. 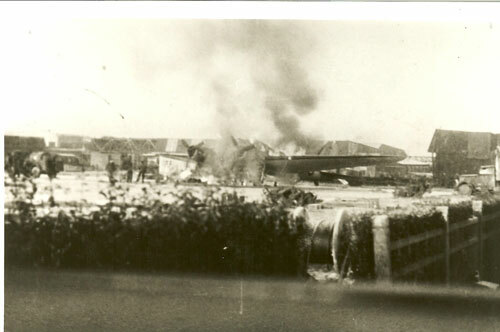 A Flying Fortress had been out on a mission and was badly damaged. As Bill watched in horror, the plane landed on the Fire Crew’s shed. Inside the fire crew were preparing their fire tender to help the Fortress when she landed. The Fortress still had several bombs on board and live ammunition. As she hit the shed, she exploded. Bill and Stan ran for cover as the bombs exploded and ammunition fired in all directions. 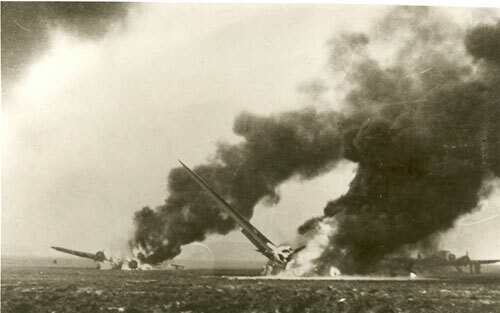 All the fire crew and Flying Fortress’ crew were killed. The troops had been celebrating on New Year’s Eve. The Germans were losing the war. The British troops hoped 1945 would bring the end of the war. Bill and his pals relaxed for a while. Some had a few drinks. In the early hours of 1 January 1945, the Germans took desperate measures to disable the British forces. Spitfires, Austers, DAKs, Annies, etc, ringed the airfield. 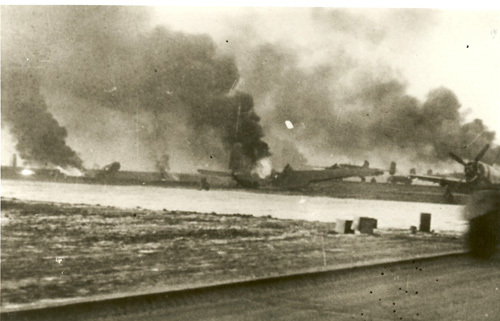 As the alarms went and troops scrambled, German planes shot up the airfield. 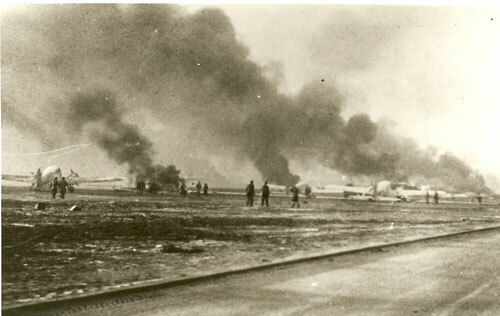 Within minutes, the airfield was a mess of burning airplanes. 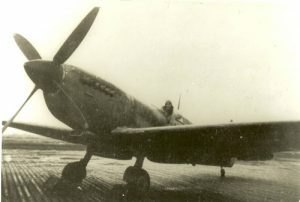 The only plane left intact after the assault was a Spitfire. Bill is seen sitting in it above.